If you’re a business, don’t you want to have a beautifully immaculate facility? Don’t you want potential clients or customers to come into your company and be in awe of how clean and tidy it is? We’re betting that’s a yes. One of the ways to ensure your business is clean and tidy is by hiring a window washing service. Instead of hiring a person to constantly clean your windows, why don’t you consider outsourcing that service? Outsourcing your services can be very beneficial when it comes to ensuring your establishment is presentable. At ProClean Windows, we offer excellent commercial window cleaning that will leave anyone who comes to your business in amazement of how immaculate it is. For further information about our commercial window cleaning service, make sure to reach out to us by calling (801) 553-6481. 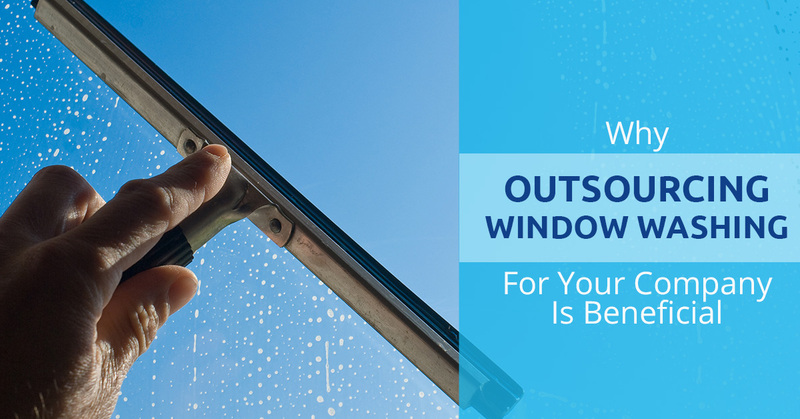 We compiled three fantastic ways to help you figure out if hiring a window washing company to outsource your cleaning would be in your best interest. Regardless of the type of business you may be, it’s important that you have an immaculate presence. If you’re a restaurant, would you want to eat at a facility that was anything less than clean? If you’re a business where clients come to, would you be proud of a work space that wasn’t pristine? Hiring a window washing service will provide you with these three benefits and more, especially when you hire ProClean Windows. When you outsource a window washing service, your employees will stay productive. By working in a pleasant, clean environment, your employees will have a higher morale. Similar to our above examples of coming into a grimy habitat, your employees won’t have any interest in working in a dirty domain. With beautifully sparkling windows, your employees will be able to see outside and will have higher productivity because there’s brightness coming in from the outdoors and they’re working in a clean area. When you hire an outsourced window washing service, you know you’re working with professionals, especially when you employ ProClean Windows. A window washing service will be professional washers, so you don’t have to worry about streaky windows or windows that are anything less than perfect. Our specialists will clean the interior and the exterior of the windows in your business and they’ll be no less than perfect. Additionally, when you hire professionals you don’t have to worry about accidents. At ProClean Windows, we offer many features in our commercial window washing service. In addition to cleaning the outside of your windows, we’ll clean the inside, remove any mineral stains, clean up any construction, remove any signs, install signs, clean the awning, and replace any lights. We’ll also provide other high access services. You can find out much more in depth about our full commercial window services when you call to make an appointment for us to come to your company. For further information about window washing, stay tuned to our blog.